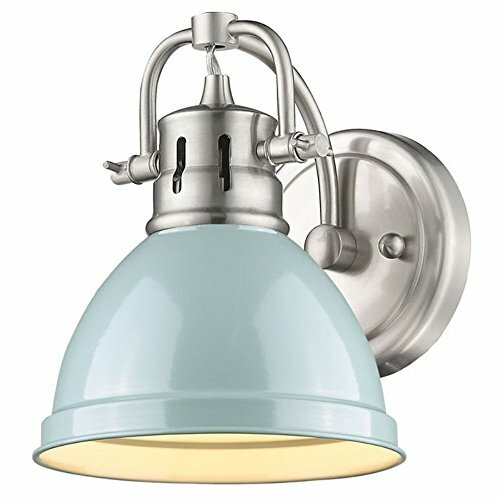 A retro cutie, this Golden Lighting Duncan 3602-BA1 Wall Sconce has casual vintage style with an industrial feel. 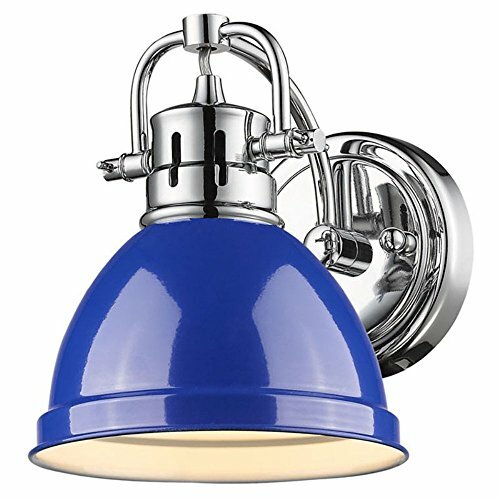 Its inverted bowl shade and exposed hardware fixture are available in a range of color options. This smart wall sconce requires one 100-watt bulb, not included. 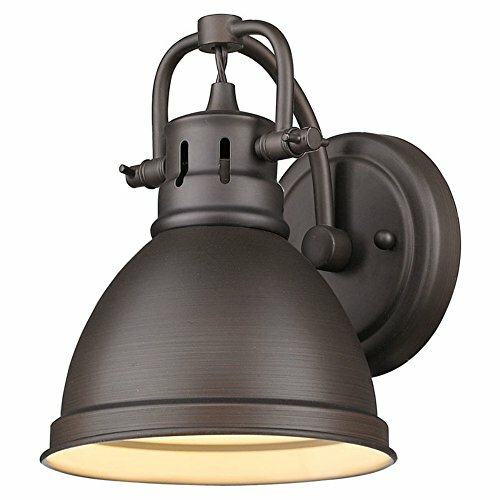 Located in Tallahassee and founded in 1982, Golden Lighting is a premier provider and innovator of residential lighting design. 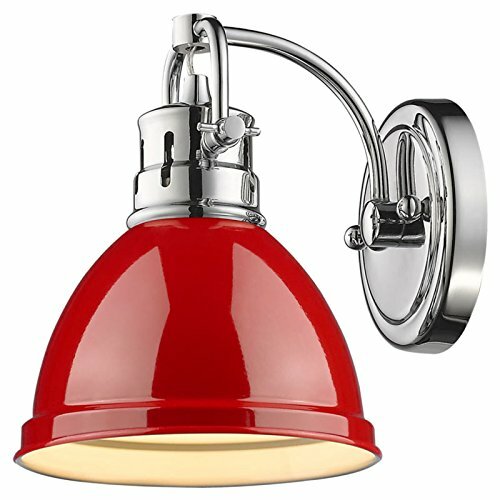 With a wide collection of styles and types of lighting, the company continues to create new designs for today's homes. Dimensions: 6.5W x 8.25D x 8.5H in. . Choose from available finish options. Choose from available shade color options. 8 inches of wire included. Requires one 100-watt incandescent medium base bulb (not included).